Last year at this time, I was in London to see my Dallas Cowboys play at Wembley Stadium. Little did I know that for the 100 year anniversary of the start World War I, there were special plans at the Tower of London to make what is known as Remembrance or Armistice Day extra special. 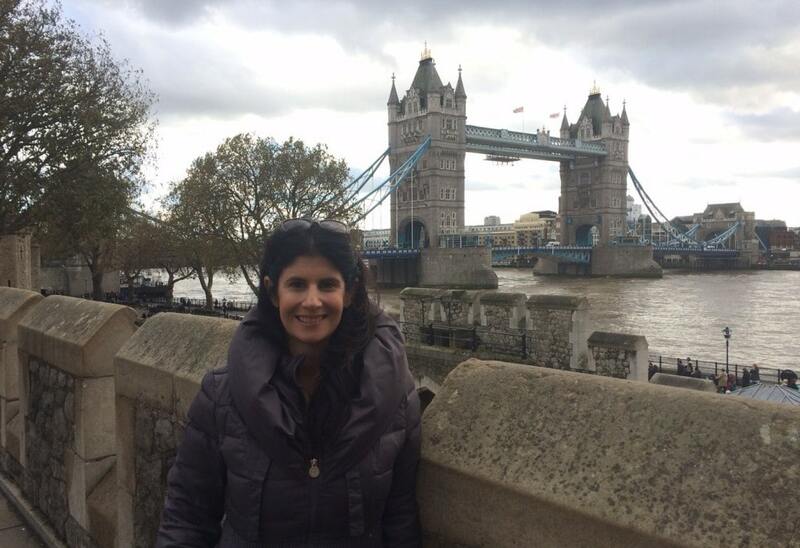 Let me tell you more about Armistice Day, it’s connection to the Tower of London, and what you can see when you visit the Tower of London. Is the Tower of London Worth It? Many Americans may not have heard about Remembrance or Armistice Day (November 11th). In the US, we now call it Veteran’s Day. November 11th marks the day the armistice (cease fire agreement) was signed between the World War I Allies and Germany. In the US, the name changed to Veteran’s Day to expand the holiday to honor all military veterans. Every year in the weeks leading up to November 11th, remembrance poppies are given out in return for a donation that goes to support the British Military. It is a simple paper design, but very meaningful as they commemorate the sacrifices of the armed forces and show support for those currently serving. 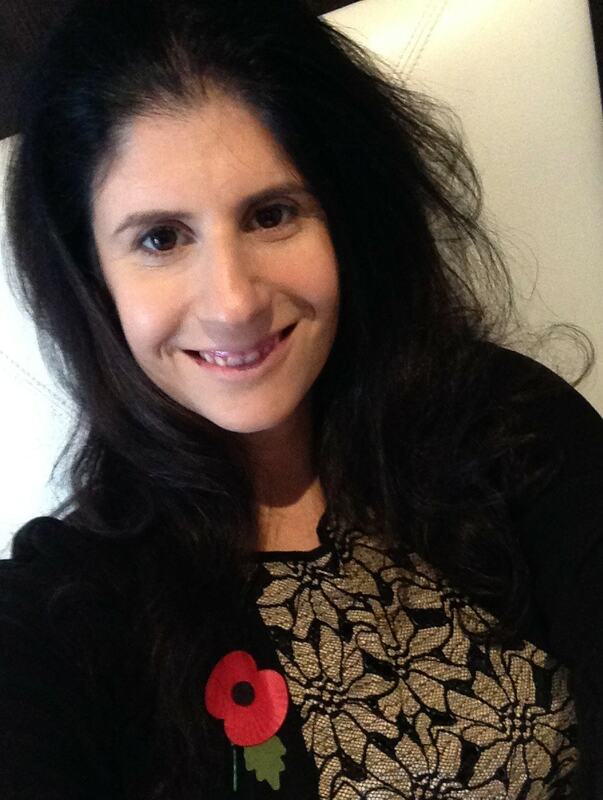 Anisa with her Remembrance Poppy! Poppies, poppies, and more poppies – 888,246 to be exact. So to mark the 100 year anniversary, 888,246 ceramic poppies (one for each British fatality during the war) were placed in the Tower of London moat. The major art installation was called Blood Swept Lands and the Seas of Red and was created by artists Paul Cummins and Tom Piper. Paul Cummins actually lost a finger making the poppies. The scale of the installation was intended to reflect the magnitude of 100 year anniversary and create a powerful visual commemoration. All of the ceramic poppies from the installation were sold, raising millions of pounds for charity. I wish I could have bought one, but by the time I learned about it, they were already sold out. 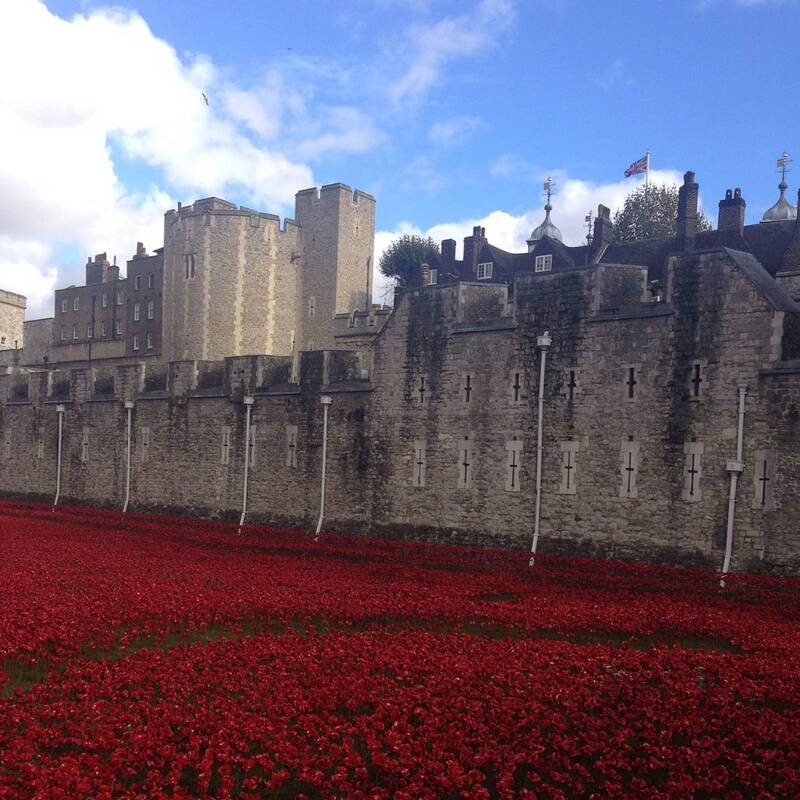 The Tower of London surrounded by the poppies and lots of people! So, I braved the crazy crowds to see the ceramic poppies and it really was worth it. Seeing the sea of red was incredibly moving. My favorite part of the installation was where poppies were coming out of one of the tower windows, almost like a trail of blood tears. Since the poppies exhibit closed at the Tower of London, the “weeping window” section has been on tour at other iconic spots around the country like St. George’s Hall in Liverpool, England. To mark the 100 year anniversary of the end of World War I, 10,000 torches will individually be lit in the nights leading up to November 11th. The installation is called Beyond The Deepening Shadow and aims to remember but all those who were lost or affected by the war. You can see pictures of the moving display here. Even without the poppies or the torches, the Tower of London is worth a visit. It is, after all, a UNESCO World Heritage site. It’s one of the most popular tourist attractions. If you’re planning a trip to London, you can stay at the nearby Tower Hotel or check out the best guide on where to stay in London. The Tower is a complex of several buildings set within two layers of walls and a moat. The White Tower, which is the center of the complex, was built by William the Conqueror in 1078! There were several phases of expansion, mainly under Kings Richard the Lionheart, Henry III, and Edward I in the twelve and thirteenth centuries. The White Tower before the clouds rolled in. The Tower of London was also a prison, mostly for prisoners accused of treason. Elizabeth I was held here before she became Queen. Her mother, Anne Boleyn, was imprisoned and later executed. Some say she still haunts the Tower. Twenty-two people were executed in the Tower while more than 200 executions took place nearby at Tower Hill. It was interesting to see the area where prisoners were held. There was graffiti on the walls that allegedly was done by some of the prisoners. Especially during the Tudor period (16th century), many prisoners were mentally and physically tortured. The main ways to torture people at the Tower were the rack and the manacles, which are on exhibit. I also liked the view of the Tower Bridge from this area, it’s one of most Instagrammed spots in London. The Tower Bridge is just beautiful, almost seems like something out of a fairy tale, and definitely worth a visit itself, especially since they have a newly installed glass floor. Being a fan of the royal family, my favorite part of the Tower of London is seeing the crown jewels. The mystique and beauty of the diamonds and precious jewels in the collection draw large crowds. You can see several different crowns (some which are still currently in use) and many other priceless items. Several pieces on display are still used for coronations. As you can imagine, there are armed guards protecting the jewels and they are changed every two hours. There is not an elaborate ceremony to change the guards like there is at Buckingham Palace (also worth a visit). The Bloody Tower was the main entrance to the Tower of London from the river until the outer ward was built. Now, it is known as the site of the murder of the “Princes in the Tower.” The two young Princes in the Tower were Edward V and his brother, Richard Duke of York. While preparing for Edward’s upcoming coronation, they were put in the Tower of London by the man appointed to look after them, their uncle, the Lord Protector, Richard, Duke of Gloucester, and never seen again. Richard then took the throne for himself and became Richard III. It has been said that the two princes haunt the Bloody Tower. Lastly, be sure to also see the armory exhibit inside the White Tower. The White Tower is the oldest building in the Tower of London, so it dates back more than 900 years. Inside you can see an impressive exhibit of the armor for many the past kings (Henry VIII, Charles I and James II) and even their horses. You can also see the Chapel Royal of St. John. Tower of London tickets run 24.80 GBP for adults and 11.50 GBP for children. Yes, it’s pricey but trust me what you will see is worth the admission. You can purchase tickets in advance online here. If you are visiting London with kids, there is an option for a family ticket that can save you up to 25% the price of individual tickets. Yes! I think if you can only see one attraction in London, it should be the Tower. The history here is mindblowing and the Crown Jewels are stunning. The ticket prices are expensive but there are ways to save money. The Tower of London is included as part of the London pass. If you are doing more sightseeing during your time in London, the pass could save you 55% as it includes admission to 80+ of the top attractions in London. (Click here to get more information about the London Pass). Another ticket option that you might like if you are obsessed with the Royal Family like I am is the Three Palace Royal Pass. It includes the Tower of London, Kensington Palace, and Hampton Court Palace. You save 5% with an adult ticket and 10% with a child ticket and can spread out your visits over two years. Click here for more information on the Three Palace Royal Pass. It’s best to take the tube to the Tower of London. It is located right by the Tower Hill stop which is on the Circle and District lines. Another option is to take the DLR to Tower Gateway or the Thames Clipper to the Tower stop. The ‘Beefeaters’, as they are nicknamed, have long been symbols of London and Britain. Their nickname comes from their position in the Royal Bodyguard, where they could eat as much beef as they wanted from the king’s table. Yeoman Warders are required to have served in the armed forces with an honorable record for at least 22 years and they are happy to answer your questions about the Tower or take a picture with you! These tours are included with your admission. The Ceremony of the Keys is the ritual that has been held every evening at the Tower of London for the last 700 years when the main gates are locked for the night. The only part of the Ceremony of the Keys that has changed over the centuries is the name of the monarch. It has never been canceled and was only delayed once – when London was being bombed during World War II. The guards apologized to the King, and he was understanding. The public can watch the Ceremony of the Keys if they have a ticket. You need to book tickets online (which are free except for a small administration fee) at least a year in advance. 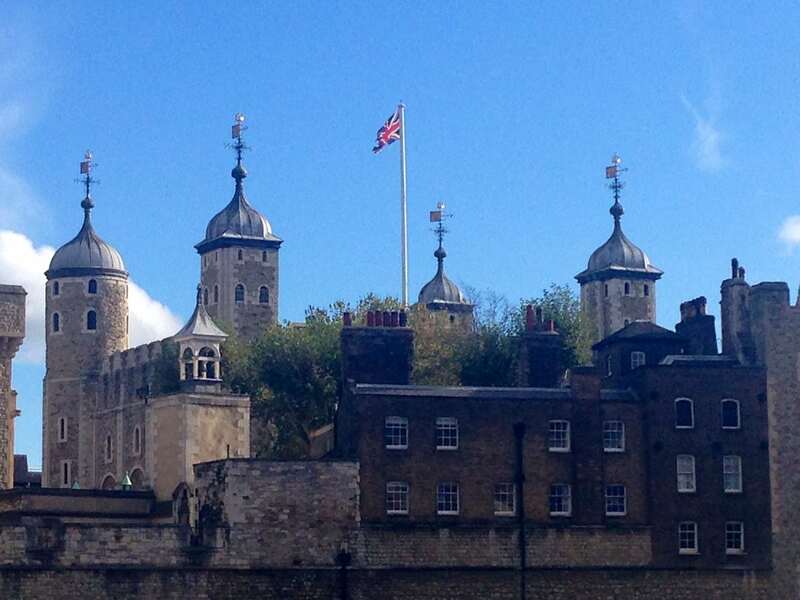 Have you visited the Tower of London? I would love to hear about your experience. 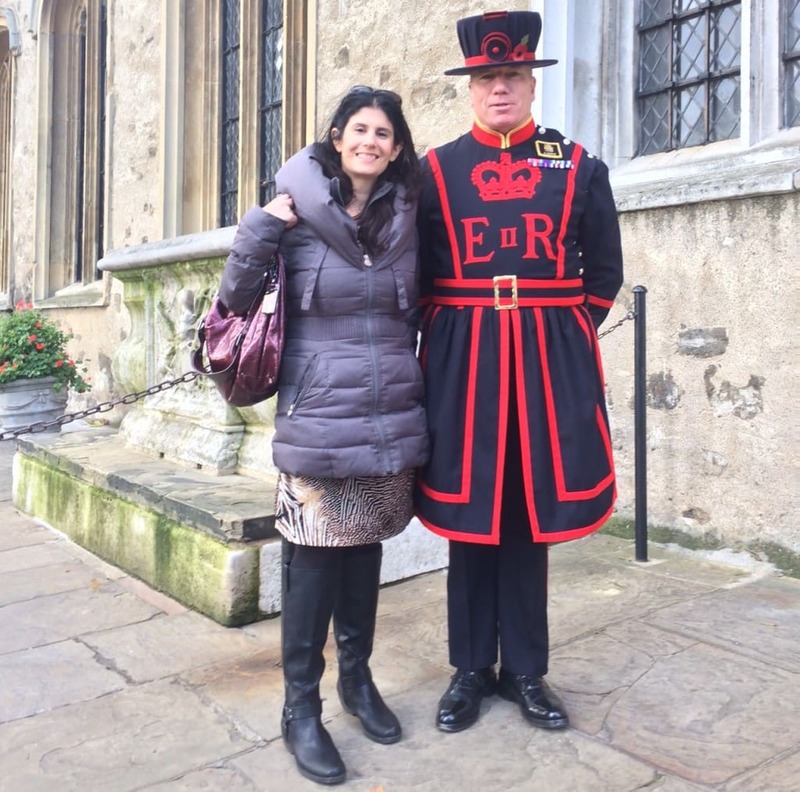 Take a Tower of London guided tour with a Beefeater. Go to see the Crown Jewels early, there can be long lines. Be sure to stop by and see Tower Bridge. Honor those that have served in the military (not just on Armistice/Remembrance/Veteran’s Day). You look so cute with the guard! I loved London but didn’t know this. Thanks for sharing. Nicki – Thanks. The Tower of London is really a must for your next trip then. A really informative post, thank you. As a Kiwi, we commemorate ANZAC Day which also has a link to the poppies so it was great to learn more about the British traditions too. Sarah – Thanks. Its interesting to hear that you have the poppies as part of your tradition too. I think it’s a great idea and wish we had it in the US. Wow what a special time to visit. I loved reading about this, now I know. Thank Liz. Glad you enjoyed the post. I’ve never been to London but it’s among the top places to visit on my list. Someday! 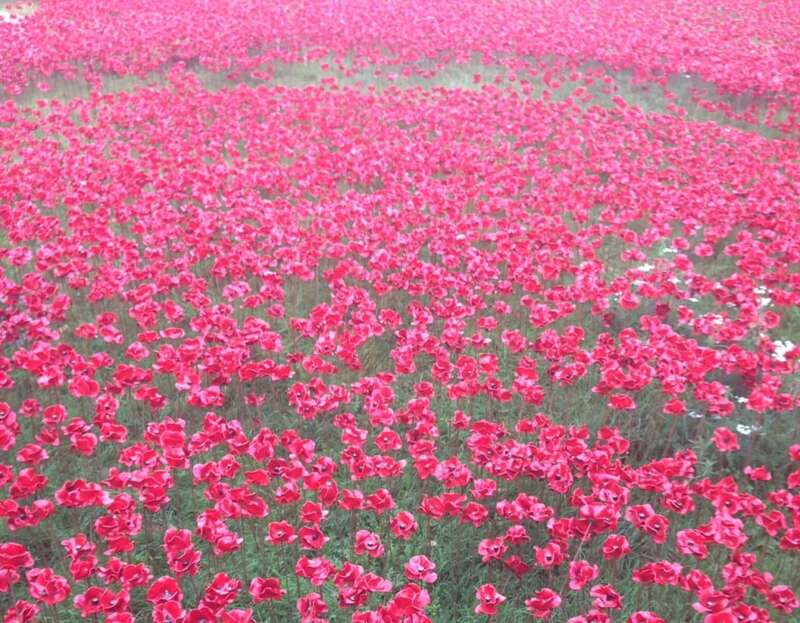 The sea of poppies must have been a really moving sight. I saw it in the papers and I really wanted to see it in person, but I was living too far away to get there. It was an incredibly beautiful tribute. I have visited the Tower of London once, but since then I have read a great deal of historical fiction – many of which centres around the Tower. What a truly terrifying place it once was! Thanks it really was amazing to see in person. And yes it crazy how much history has happened in the Tower. Thanks Noemi! Yes it was so moving to see in person and definitely something I will never forget. I’ve actually visited the Tower twice and would love to go again, it’s really an amazing place. Thanks Katie. It really was such an impressive sight to see. Wow those poppies are absolutely gorgeous! That’s amazing that they do that! Keeli – Yes it really was an impressive art installation. Keep an eye out as they may do smaller similar ones in other places around the UK.